Our latest technology based water treatment plant finds application to clean the raw water drawn from bore well. Water is treated by the reverse osmosis plant to make it consumable. The treated water can be used further for drinking and domestic purpose. It is also used for cooling tower, boiler and process. 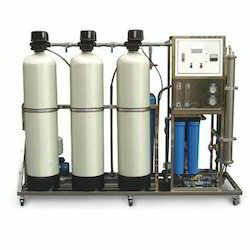 We offer customized assortment of water treatment plant to clients as per their specifications. Our professionals support our clients by providing installation training, operational training so that they can efficiently handle the plant. Being a prominent firm, we are affianced in providing our clients with a distinct assortment of Turnkey Mineral Water Plant. The water plant offered by us is manufactured from supreme grade material and leading technology with the set industrial standards. This water plant is used to process mineral water, soft drinks and juice. Also, this water plant can also be customized as per various specifications of our customers. 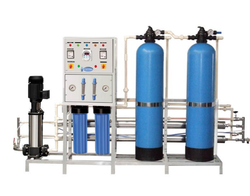 Our organization takes pleasure to introduce its business as one of the leading manufacturers, suppliers, and exporters of 1000 Lph RO Water Treatment Plant. This system/project is designed for providing water treatment solution to domestic and commercial clients, as well as industrial owners. There are varieties of systems, filters, and projects designed and developed by our experienced professionals from the unit. Clients can provide their own business specific demands or we provide a standard system that meets entire business requirements efficiently. Electrical panel: volt meter, ampere meter, rotary switch, McB switch. Owing to a modernized infrastructure for trouble-free processing and post-production, we are instrumental in offering Demineralized Water Treatment Plant. This treatment plant is obtainable in several specifications as per the variegated demand of customers. We can design, manufacture and install the Mineral Water Plant with Reverse Osmosis technology according to the customer's requirements and our designs are best noted for their suitability and cost effectiveness for various commercial and industrial purposes. With the help of our state-of-the-art infrastructure unit, we are able to provide superlative quality Ultra Filtration Plant that is known for providing crystal clear water by removing 99.9% bacteria. Our offered filtration plant is precisely developed by our competent professionals by making use of advanced technology and quality approved components in conformity with set universal standards. 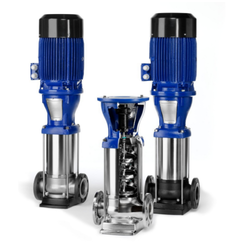 The offered filtration plant is made obtainable in a range of specifications as per customer’s requirements. Continuous Electrodeionization is your safe, chemical-free way to take RO (reverse osmosis) water to a higher level of purity. CDI-LX™ systems use our proven, patented process to produce an uninterrupted supply of high purity water, up to 18.2 megohm-cm. 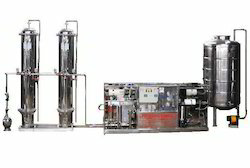 Also referred to as CEDI (Continuous Electrodeionization) and EDI (Electrodeionization) systems, CDI® systems are commonly used to remove boron, carbon dioxide, salt, silica, total dissolved solids (TDS) and total organic carbon (TOC).